How do you get early access to Amazon Prime Day deals? Ask Alexa. Some shoppers will get early access to Prime Day deals, part of Amazon’s attempt to raise awareness of its Alexa voice technology. Amazon said “voice shoppers” using Alexa will receive access to deals two hours before the general public on the evening of July 10th, and it’s also offering exclusive Alexa deals that kicked off on July 5 and run through July 17th. This Prime Day, early Alexa shoppers get the worm! Alexa has more than 100 exclusive deals starting today available on Amazon Echo, Echo Dot, Echo Show, Amazon Tap, Fire TV or compatible Fire tablets. 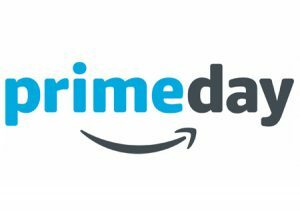 Also, voice shoppers will have early access to select Prime Day deals a full two hours before the general public beginning July 10th from 4pm to 6pm PT. Learn more by visiting Amazon.com/alexadeals. Prime customers have exclusive access to Alexa deals starting today, through July 17th. Offers will rotate so be sure to ask, “Alexa, what are your deals?” often to hear the latest deals. Voice shopping with Alexa allows customers to shop for tens of millions of Prime-eligible items. Available on the Amazon Echo, Echo Dot, Amazon Tap, Echo Show, Amazon Fire HD tablet and Amazon Fire TV, it’s as simple as saying, “Alexa, order [product]” – Alexa will find a well-priced product that ships with Prime. Just say, “yes” to buy it. To shop with Alexa, customers must be Prime members with default payment and shipping information. We got early access…..My advice to all of you. Save your money… No deals there that can’t be found at your local mall.